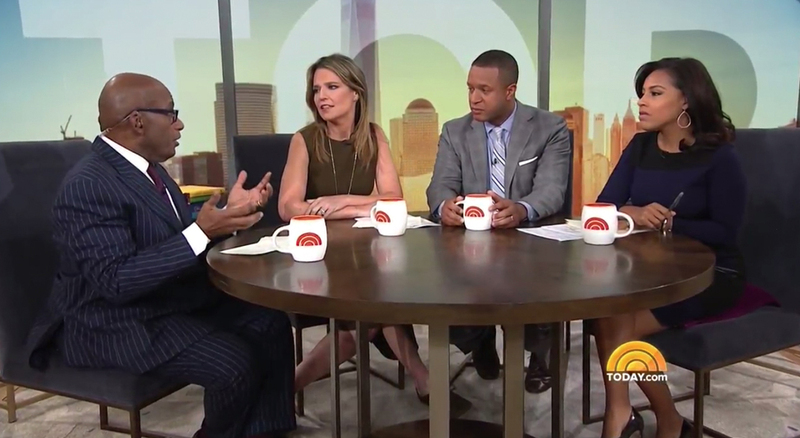 After the sudden cancellation of its high profile “Megyn Kelly Today” triggered by remarks about blackface by the titular host, NBC was left with an hour on its schedule to fill. 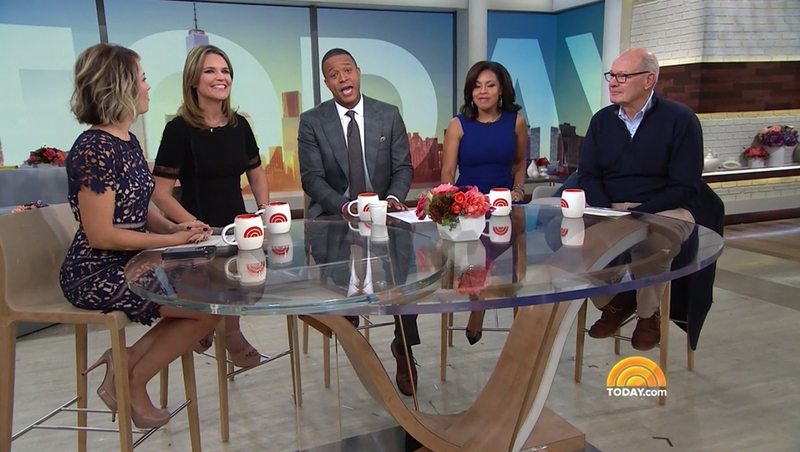 The first day that “Megyn Kelly Today” was off the schedule, Monday, Oct. 29, 2018, NBC had main co-anchor Hoda Kotb, Al Roker and Craig Melvin start the third hour from Studio 1A’s main anchor desk (main “Today” co-anchor Savannah Guthrie joined the show remotely from Pittsburgh), before tossing up to Jenna Bush Hager in Studio 6A, Megyn Kelly’s old studio after a few segments. Melvin and Roker would eventually make their way upstairs to co-host with Hager. The next day, NBC broadcast the entire program from 6A, filling the set’s video walls with an oversized “Today” logotype set over a cityscape and the date in the header panels. 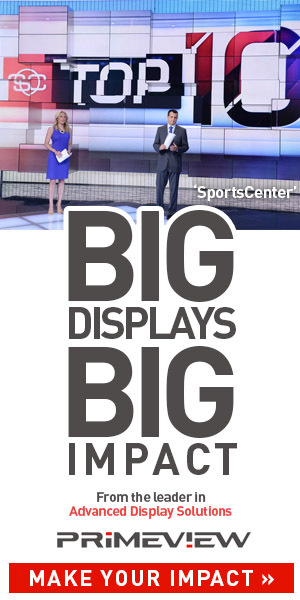 That look has remained relatively constant, though the network has also used the video walls for topical graphics, as the third hour plugged along with a rotating series of hosts and panel members culled from across NBC’s properties. On the first Tuesday after ‘Megyn Kelly Today’ was canceled, the third hour used a wooden table with metallic legs and deep blue chairs. The next day, the show switched to a glass-topped table with wood base and high wooden stools. Since then, the show has put a pause of the musical table and chairs — with a larger glass-topped table with sculptural wooden base and the high stools become a mainstay on the set. The show also uses other furniture items brought in for different segments later in the show. The third hour has also settled into a format — with a ‘hot topics’ style segment topping the show where the talent discusses recent headlines. The broadcast has also settled into a ‘look’ for this segment — with the logo of a publication that inspired the discussion and accompanying text below it. The elements are layered over the sunrise background in the center segment of the video wall inside of a transparent box. To add variety to the look, the video wall can also be used to display three topical photos or other imagery placed on top of the cityscape. It’s worth noting that this format is similar to how Kelly started her show, though it used different graphics to present the topics.